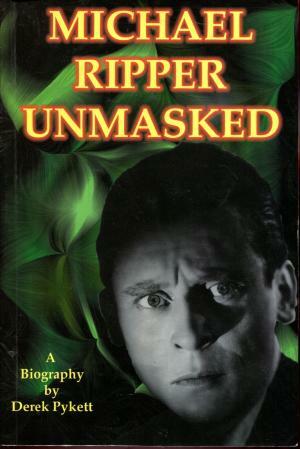 Already a veteran of some 30 films, before his first appearance for Hammer (Exclusive) in The Dark Road (1947) Michael Ripper went on to become one of Hammers favourite character actors, making thirty four films with the company, culminating with his performance as Arthur in That’s Your Funeral (1971). Born in Portsmouth, England on 27th January 1913 (five months before Peter Cushing), Michael was sixteen when he won a scholarship to a school for dramatic art. The theatre was in his blood (his father ran an amateur dramatics company) and six years later, having spent some time treading the boards he moved into films, getting his first credit in Twice Branded (1935), playing a young fellow in a theatre gallery. He later made countless films working as an actor, and assistant director, for a production company called George Smith Enterprises, who were based at Walton Studios. After the war, he stayed in Ireland to make a film, returning to England on it’s completion. It was during this period that he first became involved with the St Trinian’s films, appearing in four. In 1952 Michael had a throat operation which affected he speech – “I didn’t really sound like a human being, so all I could do was horror”. 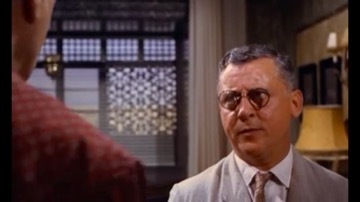 As a consequence, and having already appeared in four Hammer productions (The Dark Road – 1947, PC 49 and the Case of the Guardian Angel – 1949, A Case for PC 49 – 1951 and Blood Orange – 1953), Anthony Hinds gave him a starring role in A Man on the Beach 1955. 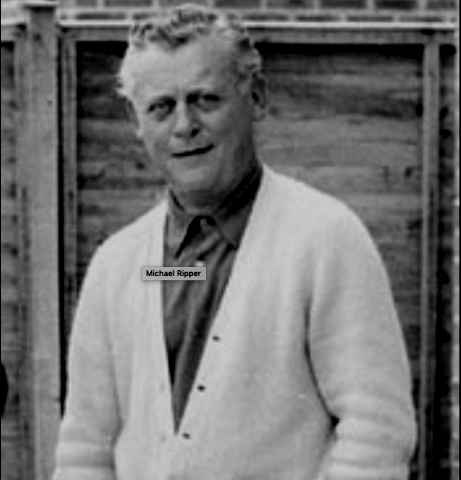 Of all the characters he played, Michael’s favourite was Longbarrow – the long-suffering assistant to Andre Morell’s Sir Basil Walden in “The Mummy’s Shroud – 1966. After Hammer, Michael went on to appear as Mr Shepherd in Southern Television’s popular childrens series Worzel Gummidge and as Tom – Leonard’s Chauffeur in the BBC TV hit sitcom Butterflies. Michael died on June 28th 2000 – he will be sadly missed by all true Hammer fans. You may not know the name but the face should be familiar, David Ryan meets Michael Ripper who has appeared in more Hammer Horror films than Christopher Lee and Peter Cushing put together. At the age of 86, Michael Ripper has just acquired a new passport so that he can fly to the United States for the launch of his biography next month. The chances are you won’t have heard of him, unless you’re an ardent fan, like those he’ll meet in Virginia, but his features should be recognisable to anyone with a soft spot for fake blood, crucifixes and horse-drawn carriages rattling though 1960s’ English woodland. A familiar face, if hardly a household name, the veteran actor now remembers little of a prolific 45-year film career that saw him hob-nob with Olivier before slipping into the niche for which he is best loved today – that of Hammer Films’ resident bit-part player, appearing in more of their horror flicks than Peter Cushing and Christopher Lee put together. 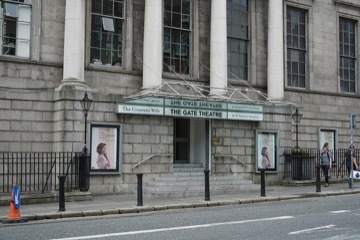 Portsmouth-born Ripper’s first starring roles after drama school were at the Gate Theatre, Dublin where a leading Irish actor of the day said his Hamlet had “the voice of the gods, dear boy”. Yet cruely, this promising stage career was to be cut short in 1952 when Ripper was struck down by a throat condition and was sent to see a specialist. Forced to utilise the microphone instead, Ripper’s next break was to work on a short film with one of Hammer’s leading lights, producer Tony Hinds. 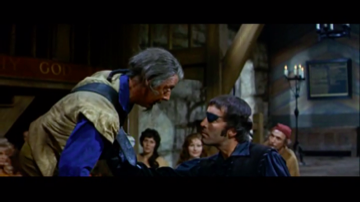 But before taking up the reins of bread-and-butter horror acting as coachmen, innkeepers, poachers and the like – he was cast by Laurence Olivier in the 1955 adaptation of Richard III. But surprisingly, Ripper’s favourites from the Hammer series are not its better known chillers – such as The Revenge of Frankenstein (1958) and Scars of Dracula (1970) – but obscure pot-boilers The Mummy’s Shroud (1966) and The Pirates of Blood River (1962). He nurses a particular affection for the last of these because it co-starred his old friend Christopher Lee, who encouraged a standing ovation for Ripper at the Barbican’s Hammer retrospective last year. In one scene, Lee helped carry Ripper across the river because he was too short to walk across the bottom. Pykett, an actor based in Yorkshire, has shown a similar devotion in preparing the 224page biography Michael Ripper Unmasked, whose initial print run of 1,500 copies is aimed at the American market. 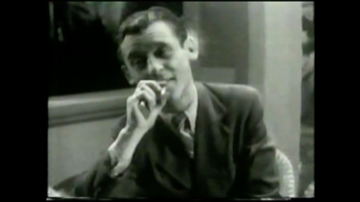 “My personal view is that he is one of England’s finest character actors,” he opines. In addition to his cinema roles, Michael Ripper also appeared in over 90 TV series/films in his long career. We have compiled a record of full career in films, including the production company and characters played. Hammer films listed have a direct link their page in our main filmography by clicking on “Hammer” – to return to this page click on Michael’s name in the cast list. Dangerous Youth 1957 Pte Simpson Warner Bros.
Dead Lucky 1960 Peter Simpson A.C.T. Tale of Three Women 1954 Simkins Danziger Productions Ltd.